Appeal to veterans of Korean campaign. This appeal, due to age factor, could in some cases be a problem but should sons, daughters, grandchildren or even friends who know of any such veterans please contact Ken Keld on their behalf, but only with their consent giving all their relevant details - present postal address, telephone number (if possible) or even email, plus all service details. 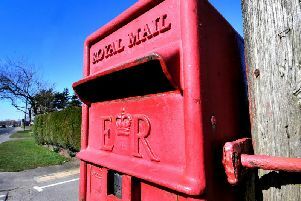 For those who use the postal service and require any further information or a reply, please enclose a stamped addressed envelope in all cases as this is being done on your behalf on a voluntary basis. All your replies will be strictly confidential. Ken Keld can be contacted at 2 Penton Road, Cayton, Scarborough, North Yorkshire YO11 3TQ or telephone (01723) 585912 or email kenkeld@gmail.com with details.